Full details of this and other stories of 1066 are reported in The Saxon Times. 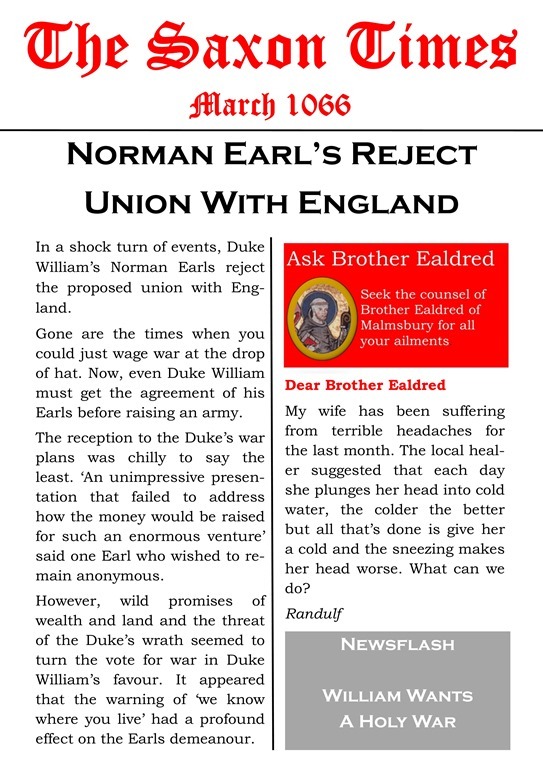 This entry was posted in The Saxon Times and tagged Ask Brother Ealdred, Classroom resources, Duke William, Normandy, TES Resources. Bookmark the permalink.